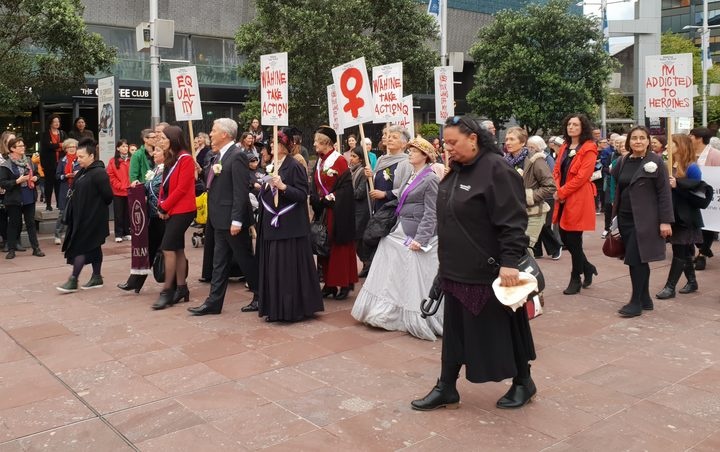 About 400 people gathered in Auckland’s Aotea Square this morning to celebrate the 125th anniversary since women were granted the vote.About 400 people gathered in Auckland’s Aotea Square this morning to celebrate the 125th anniversary since women were granted the vote. Celebratory events are taking place throughout the country. The Electoral Act signed into law on 19 September, 1893, gave women over the age of 21 the right to vote in parliamentary elections. New Zealand was the first country in the world to enact such legislation. In Auckland, the prime minister has gathered with other leaders and performers for a celebration in Aotea Square. Jacinda Ardern said she credited a lot of women for laying a path for her to follow and for her position today. Ms Ardern, told the crowd women have made huge sacrifices to advance female equality. She paid tribute to all women who may have been considered ordinary, but were in fact extraordinary, including the 25,000 woman who signed the suffrage petition. She said her own role model was her mother, who made daily sacrifices to bring her up her and her sister. One of the women who signed the original petition for the vote was her great great grandmother, who walked a then record-breaking 100 miles in 24 hours. Acting Minister for Women Eugenie Sage said today was about acknowledging the work of women like Kate Sheppard, Meri Te Tai Mangakāhia and other suffragists who tirelessly campaigned for the vote. Schools, theatres, museums and libraries are just some of the groups honouring them and carrying on discussions about what comes next for women. Women are celebrating – but also know they remain under-represented in some of the country’s top jobs and the gender pay gap still sits at over 9 percent. The Public Service Association said the country’s first equal pay strike is being held today to try to close a 15 percent salary gap. Public Service Association’s pay equity campaign organiser Gabriel Brettkelly told Morning Report the Prime Minister has championed equal pay, and Ministry of Justice staff are striking today to get a fair deal. She said Māori and Pacific women make up a large part of the administration staff and were paid poorly. “Those women and a lot of our members are Māori and Pacific women at the Ministry of Justice,” she said. Kate Sheppard might be surprised that 125 years on, New Zealand still does not have equal pay, she said. Around Jacinda Ardern’s cabinet table there are just five women ministers. Forty percent of the country’s MPs are women. In the boardrooms of New Zealand’s top 50 listed companies, women make up just 19 percent of directors. The situation is better in appointed roles on state sector boards and committees, where women have almost 46 percent of the jobs. The pay gap persists despite women being more likely to have formal qualifications – 64 percent of university degrees are earned by women. According to Stats NZ, there are more than 35,000 working mothers in New Zealand – about 30 percent of all working women. But they face what is known as the “motherhood penalty” – a gender pay gap of 17 percent between women who are parents and men who are parents. The gap is even greater for mothers who are working part-time. One woman, who did not want to be named, said mothers could find it tough getting jobs. Rhonda Comins, who is blind, said women with disabilities were often left out of the conversation entirely. “There needs to be a disability lens put on all women’s issues because it compounds the situation,” she said. Outside a supermarket in Māngere, one woman said even though Ms Ardern is New Zealand’s third woman prime minister, men still have the edge over women in the workplace. “I still believe that there’s a whole lot of employers that still employ male over female, I guess because they are a bit more dominant,” she said. Another, Jane, said she still felt like men get hired over women, even if a woman had more experience. She was passed over for a job at her own workplace, and a man who was less qualified got it instead, she said. She ended up having to train him. “I wasn’t promised but I was guaranteed for a job in my position that I was working as an intern but now without notifying me or realising that my skills are right for the job they’ve decided to hire a male,” she said. Jane said Pacific Islanders, like herself, face other challenges. Māori and Pasifika women face higher unemployment rates, of just over 10 percent, compared with the overall unemployment rate for women of just under 5 percent. A teacher, Jenny Healy, said while there was still a lot of work to do towards gender equality, there were reasons to celebrate too. “The fact that we have got a woman at the helm and a compassionate one who is also very articulate and very focused is just an absolute boon for the whole country, not just for us women,” she said. 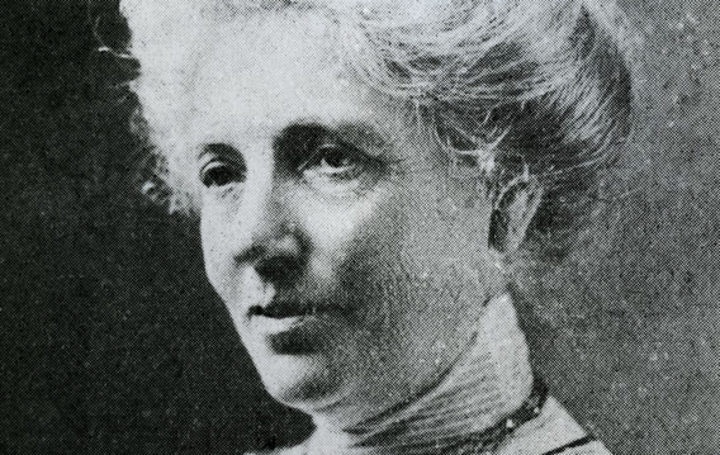 Kate Sheppard’s house is up for sale – and may soon belong to the country. The Clyde Road home, worth more than $3 million, was where suffragists collected thousands of signatures in a petition for women to gain the right to vote. Prime Minister Jacinda Ardern said the government was interested in making an offer to purchase the building to preserve its history. University of Canterbury law professor Ursula Cheer told Morning Report the South Island had the country’s first female MP, cabinet member and prime minister and could celebrate that legacy by creating a working space in Ms Sheppard’s home. “There is so much that the community and groups working on equality issues could get out of that place and that the nation could get about going back to commemorate what happened there,” she said. “You could have it as an outcrop of Te Papa, you could bring back the petition or at least a copy of it but not make it like a museum preserved in aspic – you could make it a working creative place where groups working for equality could have space or room, you could have a creative or researcher in residence there.